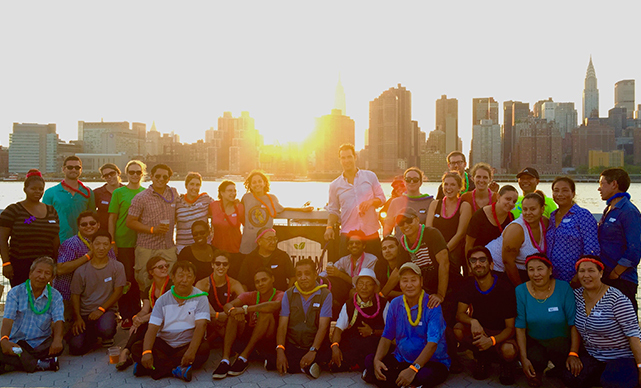 Gotham Greens is built upon the collective values, talents and energy of our diverse people. Our growers are passionate about producing the finest quality, freshest, best tasting, and most nutritious culinary ingredients available. They care about our customers just as much as they care about the every need of our plants, from seed to harvest. Our team has unmatched expertise in technologically sophisticated controlled environment agriculture (CEA), hydroponics, business development, marketing and sales, and environmental design. The company employs over 100 full time employees in its New York City and Chicago operations. Viraj co-founded Gotham Greens in 2009 and serves as CEO. He has developed and managed start-up enterprises in New York City, Ladakh, India and Malawi, Africa focusing on sustainable agriculture, green building, renewable energy, and environmental design. His written work has appeared in several books and publications including, “100% Renewable — Energy Autonomy in Action” and the UN Academic Journal. He has received fellowships from the TED conference, Wild Gift, and the Environmental Leadership Program. While he is a passionate New Yorker, Viraj is equally at home on mountain expeditions and in wild, remote corners of the world. Viraj is a LEED® Accredited Professional and received a B.A. from Colgate University. 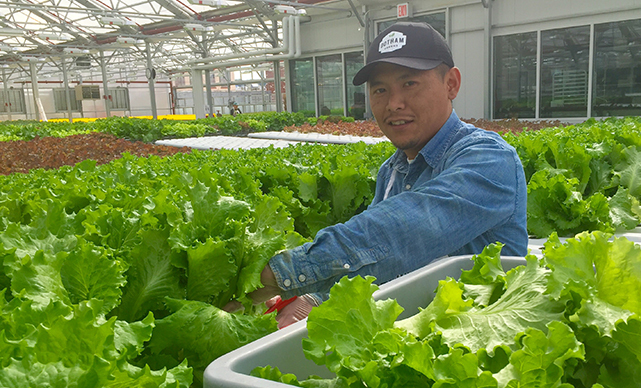 Eric co-founded Gotham Greens in 2009 and oversees all financial operations as CFO. He has over 10 years of experience in finance specializing in M&A, capital raising, and strategic consulting. Prior to Gotham Greens, Eric spent time at Corporate Fuel Partners, a Manhattan-based investment bank and private equity fund and JP Morgan Chase. Eric earned his M.B.A from the University of Notre Dame and a B.S. from the University of Wyoming where he played Division I football. When Eric isn't seeking the next great restaurant or hunting for the finest ingredients for his own kitchen, he can be found spending time with his family and dog, Beatrice. 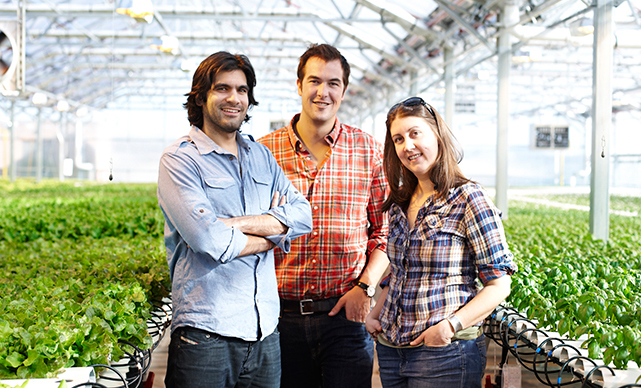 Jenn joined Gotham Greens in 2009 to head agricultural operations. She combines her knowledge in plant physiology with a sophisticated and discerning palate. She developed her expertise in greenhouse systems and management at the Controlled Environment Agriculture Center (CEAC) at the University of Arizona. Her expertise encompasses greenhouse system design, plant nutrition, crop and pest management, sensors and controls, and staff training. Jenn has managed greenhouses in Antarctica, at both McMurdo and South Pole Stations, providing fresh vegetables for U.S. research scientists. Jenn also worked at the greenhouse at the Cuisinart Resort and Spa in Anguilla. 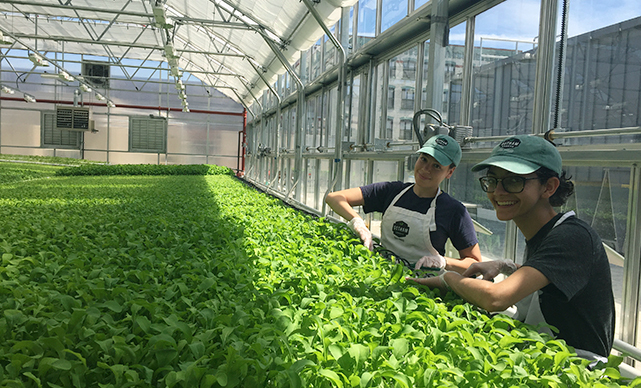 Prior to joining Gotham Greens, Jenn worked at New York Sun Works, where she designed and directed operations of the Science Barge greenhouse. She received her M.S. from the University of Arizona (plant sciences) and B.S. from Arizona State (plant biology).